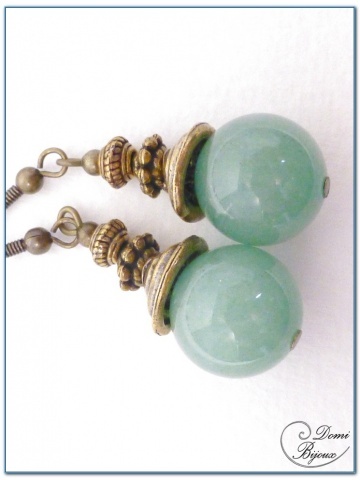 This fashion earrings bronze finition are made around two aventurine natural pearls of 14 mm diameter, surmounted with caps and small differents pearls bronze . The hooks and differents elements are nickel free, so there is not allergies. 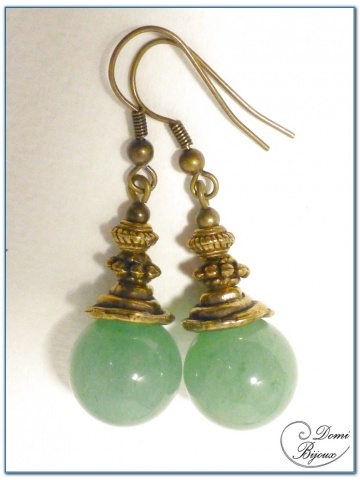 The mix of soothing colour of aventurine and bronze colour give to this earrings a lot of charm. 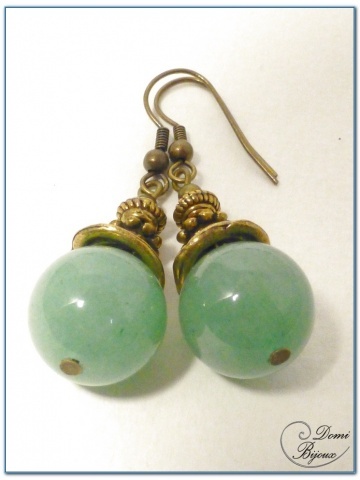 Tou will receive your earrings in a nice cloth pouch, to store them carrefuly when you don't wear.